The Kootenays have a uniquely relaxed vibe. Grounded in mountain culture and artistic lifestyles, the locals in Revelstoke, Nelson, and Rossland welcome visitors to explore their backyard and settle into Kootenay time. Enormous snowy peaks, clear lakes, and waterfalls characterize this mountain playground in southeastern British Columbia, where visitors can expect backcountry adventures, endless singletrack mountain bike trails, mineral hot springs, and small towns with vibrant arts and culture scenes. Planning a trip to Revelstoke this winter? Learn about skiing and other snow sports in Revy, and where to eat and drink. Want to explore BC's mountain towns? Head to Nelson, in the Kootenay Rockies, for great skiing, dining, culture, and heritage. Nelson has it all. 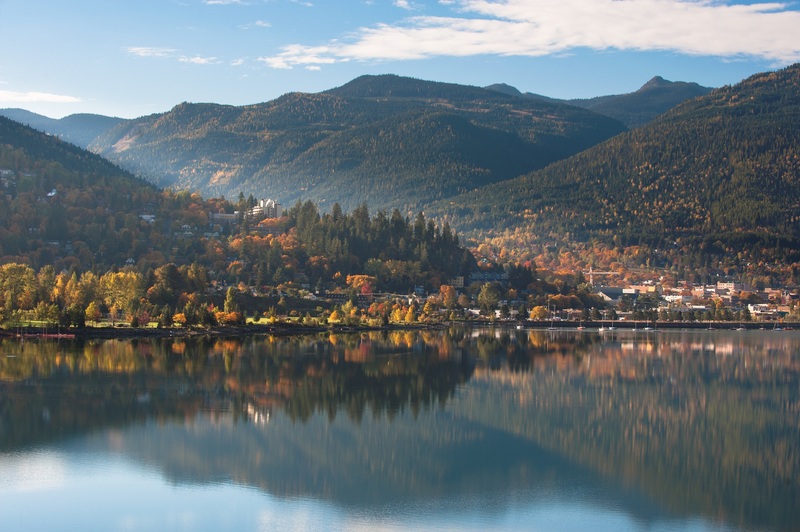 Surrounded by the Selkirk, Monashee, and Purcell mountain ranges, the communities of the Kootenays are known for thier friendly, eclectic vibe and easy access to adventure.